Forget that you broke up with gluten, and reconnect in the yeasty embrace of this popular (and all-organic) neighborhood bakery and pizzeria. 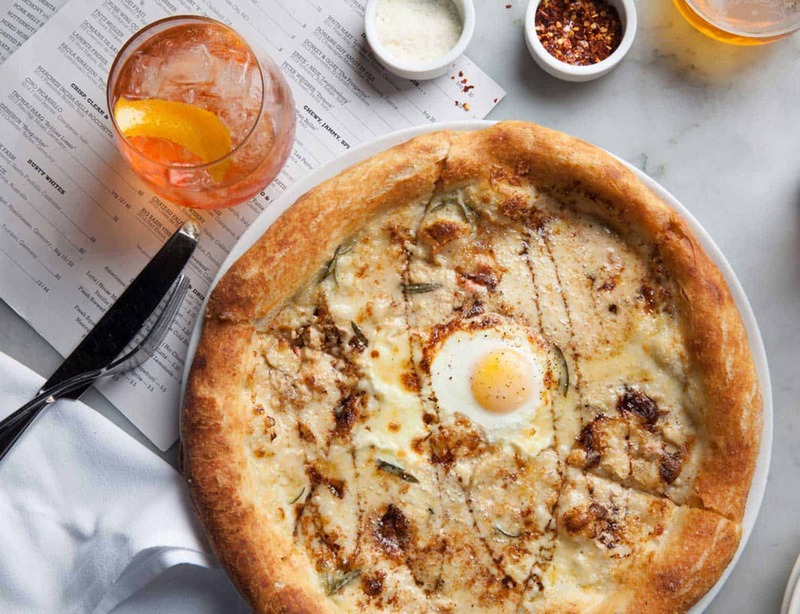 In the morning, executive chef/partner Erin Eastland keeps the focus on fresh pastries and winners like a breakfast sandwich on house-baked brioche bread and breakfast pizza featuring house sausage, potatoes, pickled chili, rosemary cream, and farm egg. For lunch and dinner, fresh pastas share the spotlight with pizzas from the wood-burning oven. And after a serving of Eastland’s heralded garlic knots, you might feel like changing your last name… to Gluten.